If you are looking for expert forklift training in Warrington, get in touch with Pro-Lift to find out more about our services. We have a large team of professional instructors who can work with your staff in the familiar environment of their workplace and motivate them to reach their full potential. Our instructors are qualified in many different types of course, from Novice to Refresher Training. We can also provide Familiarisation Training, enabling your staff to use new equipment with confidence. All of our courses are designed to ensure your company meets the latest HSE regulations on the use of forklifts in the workplace. 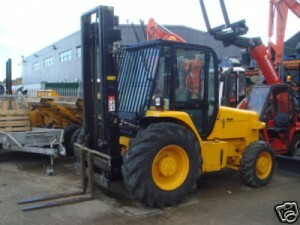 We will train your forklift drivers on-site and we’ll be there when it suits you. Whatever time you need an instructor, we can make it. Our staff are available 24 hours a day and 7 days a week, we also provide forklift training in Warrington over weekends and bank holidays. We hope this will mean you experience the least possible impact on your productivity, whilst also ensuring your drivers are fully competent. Our courses cover every area of forklift safety and operation, from the hydraulic controls, to steering exercises, and charging or refuelling the truck. When our instructors are satisfied that a candidate has a good knowledge of forklift operations and understands the health and safety guidelines, they provide a certificate which confirms this. Pro-Lift believe that when your drivers are fully trained, they can work to optimum efficiency and are less likely to have accidents. If you’d like to find out more about what we do, or if you’d like to schedule a course at your premises, please get in touch.